Jasper Johns Drawings + The Accordion Fold-Out "For Jasper Johns"
The Arts Council of Great Britain, 1974. Original wraps. Near Fine. The catalogue based on the 1974 exhibition organized by the Arts Council of Great Britain. Also includes an interview with Jasper Johns by David Sylvester. 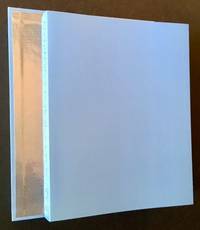 The catalogue is crisp and Near Fine in its printed, off-white wrappers. 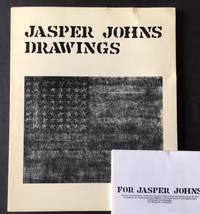 And acompanying the catalogue is the uncommon pocket-sized fold-out "For Jasper Johns", which features his 1960 series "Ten Numbers" and was "published to coincide with the exhibition"
New York: Marlborough Gallery, 1983. Original wraps. Fine. 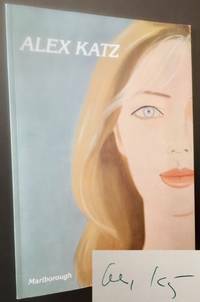 SIGNED BY ALEX KATZ on the title page. 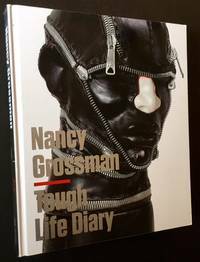 A pristine copy to boot of the catalogue based on the March-April 1983 exhibition at New York's Marlborough Gallery. Tight and Fine in its pictorial wrappers. Arkansas Art Center, 1999. Original wraps. Near Fine. INSCRIBED (in Russian) BY THE RUSSIAN-BORN FRENCH PAINTER VICTOR KOULBAK on the front free endpaper. A near-pristine copy to boot of the catalogue based on the May-June 1999 exhibition at the Arkansas Art Center. One tiny bump at the front panel's lower-tip, otherwise immaculate. Folio, lovely color reproductions thruout. Saint-Maximin, France: Ancien Couvert Royal, 1983. Original wraps. Near Fine. 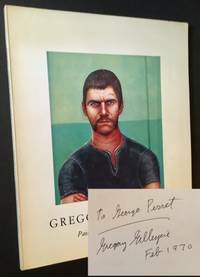 WARMLY INSCRIBED IN YEAR-OF-PUBLICATION BY THE ARTIST MICHEL LABLAIS. 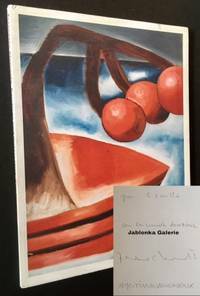 A very solid copy to boot of the catalogue based on the March-April 1983 exhibition at the Ancien Couvent Royal in Saint-Maximin, France. Clean and Near Fine in its printed, dark chemise, which houses the 12 remarkable, loose (as issued) black-and-white plates. Text by Michel Dupart and Gilles Lipovetsky. New York: R 20th Century Gallery, 2012. Boards. Near Fine. The catalogue based on the 2012 exhibition at New York's R 20th Century Gallery. Tight and Near Fine in its laminate gold boards. 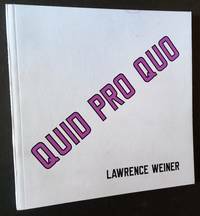 Square quarto, high-quality color reproductions thruout. Tokyo: The National Museum of Modern Art, 2017. Original wraps. Fine. 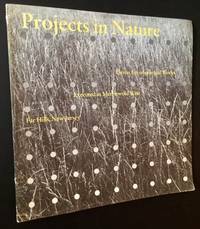 A pristine copy of the catalogue based on the March-May 2017 exhibition at Tokyo's National Museum of Modern Art. Tight and Fine in its pictorial wrappers, with its bright wraparound band (or obi) in place. Thick octavo, crisp, generous black-and-white and color plates thruout. Copenhagen: Galleri Bo Bjerggaard, 2010. Original wraps. Fine. 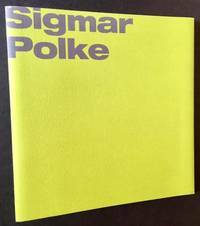 A pristine copy of the catalogue based on the January-April 2010 exhibition at Copenhagen's Galleri Bo Bjreggaard. Tight and Fine in its stapled green wrappers. And in a crisp, Fine example of the printed dustjacket, in a matching lime-green. Rome: Gagosian Rome, 2008. Original wraps. Near Fine. The catalogue based on the November 2008-January 2009 exhibition at Gagosian Rome. Tight and Near Fine in its printed white wrappers. New York: David Nolan Gallery, 1989. Original wraps. Near Fine. 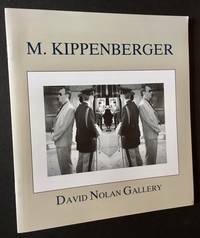 The catalogue based on the September-October 1989 exhibition at New York's David Nolan Gallery. Clean and Near Fine in its stapled, pictorial wrappers. Also includes a pristine example of the large fold-out map tipped-in just beyond the title page. New York: Forum Gallery, 1970. Original wraps. Very Good +. INSCRIBED BY GREGROY GILLESPIE on the front free endpaper. A very solid copy to boot of the 1970 1st edition. Tight and VG+ to Near Fine in its pictorial wrappers, with just a touch of toning along the edges. Tall quarto, high-quality color and black-and-white reproductions thruout. New York: Carlton Gallery, 1977. Original wraps. Very Good +. 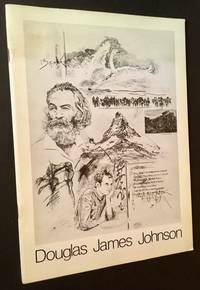 SIGNED BY DOUGLAS JAMES JOHNSON on the ttle page. A solid copy to boot of the catalogue based on the November 1977 exhibition at New York's Carlton Gallery. Tight and VG+ in its stapled, pictorial wrappers, with light soiling to the rear panel. Quarto, high-quality black-and-white reproductions thruout. Nuremberg: Programms der Bayerischen Staatsregierung fir Kunstler und Publizisten, 1988. Original wraps. Very Good. 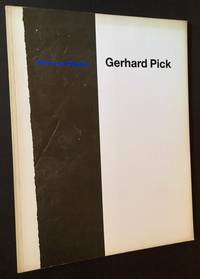 Catalogue based on the 1988 Nurnberg exhibition of the paintings and sculptures of Geran artist Gerhard Pick. Solid and VG in its printed wrappers, with light scuffing to the front panel and light offsetting at the rear panel. Far Hills, New Jersey: Merriewold West, 1975. Original wraps. Near Fine. A clean, crisp copy of the 1975 catalogue, issued out of Merriewold West in Far Hills, NJ. Tight and Near Fine in its pictorial wrappers. Square quarto, features the work of Carl Andre, Alice Aycock and others. New York: Sidney Janis, 1968. Original wraps. Very Good +. 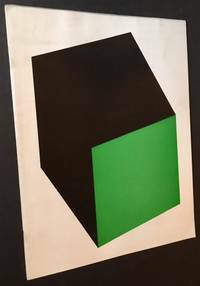 The catalogue based on the October-November 1968 exhibition at New York's Sidney Janis Gallery. Crisp and VG+ (light soiling to the rear panel) in its stapled pictorial wrappers. Compiled by Backus Pedigree Co, 1958. Original wraps. Near Fine. 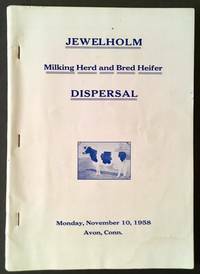 November 1958 catalogue of the dispersal of the milking herd and bred heifer at Jewelholm Farm in Avon, CT. Accompanying black-and-white photos, with prices realized written in. Octavo, crisp and VG+ to Near Fine in its pictorial stapled wrappers. London: Annely Juda Fine Art, 1997. Original wraps. Fine. 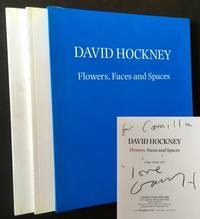 A pristine example of the 2 volume catalogue, based on the May-July 1997 exhibition at London's Annely Juda Fine Art Gallery AND INSCRIBED BY DAVID HOCKNEY on the title page of "Flowers and Spaces" (the 1st of 2 volumes, the 2nd volume titled "Faces and Spaces"). Both volumes crisp and Fine in their pictorial wrappers. And both housed in a Near Fine example of the printed cardboard slipcase. Cologne, Germany: Jablonka Galerie, 2005. Original wraps. Fine/Near Fine. 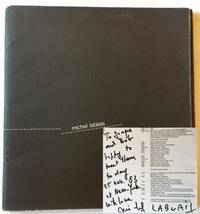 A very sharp example of the catalogue based on the February-April 2005 exhibition at Cologne's Jablonka Galerie AND INSCRIBED BY FRANCESCO CLEMENTE on the half-title. Crisp and Fine in its original wrappers. And in a bright, Near Fine example of the wrappered, pictorial dustjacket, with just a touch of light soiling at the edges. Tall quarto, lovely color reproductions thruout. Accompanying essay by Kay Heymer. Berkeley, CA: University Art Museum, Berkeley, 1983. Original wraps. Near Fine. 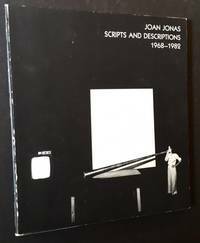 SIGNED BY JOAN JONAS on the title page. 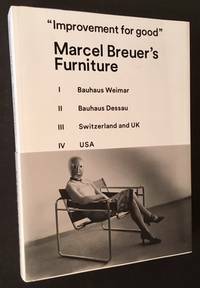 A crisp, very sharp copy to boot of the catalogue based on the 1983 exhibition at the University Art Museum at UC Berkeley. Former owner blindstamp at the title pgae, otherwise clean and Near Fine. Square octavo, crisp black-and-white photos thruout. Saratoga Springs, NY: Skidmore College, 2012. Hardcover. Near Fine. 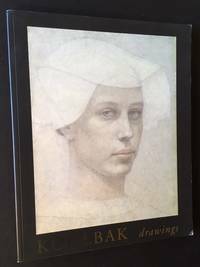 A handsome copy of the catalogue based on the February-May 2012 exhibition at the Frances Young Tang Teaching Museum and Art Gallery at Skidmore College. Clean, tight and Near Fine in its pictorial laminate boards. Thick quarto, crisp black-and-white and vivid color reproductions thruout. Edited by Ian Berry. London: Timothy Taylor Gallery, 2008. Original wraps. Fine. 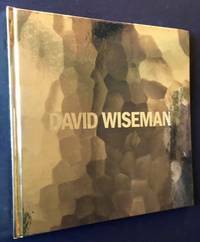 A pristine copy of the catalogue based on the January-February 2008 exhibition at London's Timothy Taylor Gallery. Crisp and fine in its light blue wrappers. A pictorial, accordion fold-out, the "catalogue concept based on 'The Sunset Strip', 1966 by Ed Ruscha". Also includes a tight, Fine example of the silver card slipcase.